Cabrera (g. by Falvelon). 9 wins to 1300m in Malaysia and Singapore, Singapore TC Class 5 H., 2d Penang TC Dr Lim Ah Soo Memorial Trophy, L, Singapore TC Initiation P., Class 4 H.-twice, 3d Singapore TC Initiation P., Given Vision H., Class 4 H.-4 times. Pompeius (g. by Magnus). 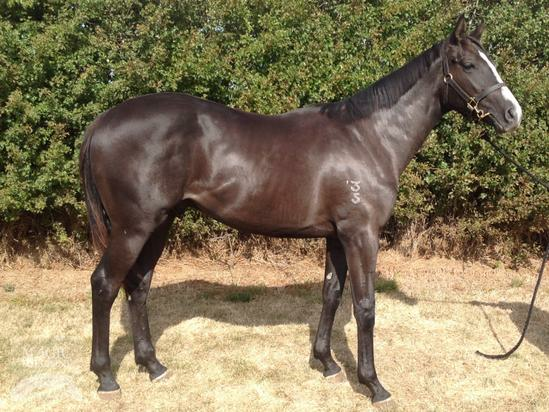 2 wins at 1750m, 2000m, A$111,750, 2d VRC Connoisseur S., L, 3d Sale TC Inglis Trophy. Caesar's Quest (g. by West Quest). 2 wins. See below. Juliuscessar (g. by Octagonal). Winner at 1400m in Aust. Gundy Spirit (Jet Spur). 5 wins at 1200m, 1350m, A$261,800, BRC Garrards H., Carly-Mae Pye Memorial H., Hillross Montefiore & Co H., Ipswich TC Harvey Towing H., 2d BRC George Moore S., Gr.3, Vo Rogue P., Gr.3, Hamilton Hotel H., 3d BRC Gold Edition P., L, GCTC Prime Minister's Cup, L, 4th BRC Sprint H., Gr.3, BRC Lough Neagh S., L, Keith Noud H., L.
Empress Me. 5 wins-1 at 2-from 1200m to 1650m, A$132,250, BRC Hidden Dragon at Lyndhurst H., LED Super Screens H., Sirromet H., 3d BRC Sky International H., Horizon Superannuation Administration Services P., Hillross Montefiore & Company P., Brc.com.au H., Hidden Dragon at Lyndhurst H.
So Pretentious. 10 wins to 1300m, A$106,190 in Aust. Seventh Heart. 8 wins to 1400m, A$91,615, BRC Mimiki Foundation H., IPG H., SITA Environmental P., Toyota Oh What a Feeling H., 2d BTC Darley Australia H., 3d BRC Shafston Hotel H.
Fell From Heaven. 5 wins to 1200m, A$116,185, to 2017-18, 2d BRC Sky International H., Ipswich TC Free Day Labour Day H., 3d BRC Novotel Brisbane Airport 2YO P., GCTC Heritage Bros Funeral Services H., SCTC Wimmers Premium Soft Drinks H.
Sept de Coeurs. 2 wins-1 at 2-at 1000m, 1200m, 2d BRC Coca-Cola Amatil 2YO H., 3d Ipswich TC Sam & Loz H.
Luck From Above. 3 wins at 1000m, 1350m in Aust. Show of Heaven. Winner at 1400m in Aust. DASHING FELLOW (Duporth). 8 wins at 1000m, 1400m, HK$12,917,700, to 2017-18, HKJC National Day Cup, Gr.3, Hong Kong Macau Trophy, L, Panasonic Cup, Ambitious Dragon H., Hong Kong Lions Cup, Indian Ocean H., Riding for the Disabled Association Cup, 2d HKJC Chinese Club Challenge Cup, Gr.3, Premier Cup, L.
AERONAUTICAL (Encosta de Lago). 4 wins-1 at 2-to 1400m, A$547,140, ATC Rosebud H., L, Razor Sharp H., L, 2d ATC Shorts H., Gr.2, VRC TAB Rewards S., Gr.3, 3d VRC Newmarket H., Gr.1, ATC Hall Mark S., Gr.3, Scone RC Ortensia S., L.
Race Record: 10 Starts 2-2-1 A$32,850. 2 wins at 1400m, 1600m in 2018-19, TTC F&W Stewart Silver Ingot P.